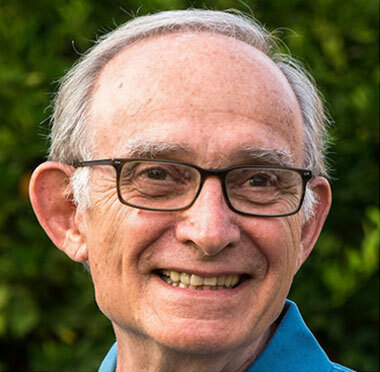 For 40 years, as a practitioner, educator, author and advocate for mediation, Michael’s has been a leading voice in the developing profession of mediation. Michael has assisted divorcing couples, helped resolve probate and other family conflicts. He has mediated disputes in businesses, government agencies, universities and other workplace settings. As a trainer he has designed and presented introductory and advanced mediation and conflict management courses and workshops in the US and internationally. As an educator Michael created one of the first graduate programs in conflict resolution in the US at Antioch University in 1992. He served in a similar role for the graduate program at Royal Roads University in Victoria, BC. Michael served for 6 years as Editor-in-Chief of Mediation Quarterly (now Conflict Resolution Quarterly). His new book, The Practitioners Guide to Reflective Practice in Conflict Resolution (2019), the first book in the Practitioner Guide Series, a joint venture of ACR and Rowman & Littlefield. Michael also co-authored The Making of a Mediator: Developing Artistry in Practice, (2000) published by Jossey Bass Publishers. He is the lead author for a series of Kindle ebooks, Divorce and Separation: A Practical Guide To Making Smart Decisions; with editions for Florida, Vermont, Oregon and California. When elementary and middle school classroom teachers greeted students by name and offered a compliment or comment there was a perceptible increase in students engaging promptly in their tasks and a noticeable reduction in disruptive behavior. These results have been confirmed in research studies examining the impact of teacher communication on students’ interactions. But, wait, you say, what does managing a group of 8 year-olds have to do with the facilitation of problem-solving by adults in mediation? Am I suggesting we treat participants and counsel as a 3rd graders? By now you may be wondering: what are the possible lessons from third-grade teachers greeting their students, medical professionals communicating with their patients and the conduct of mediation.There is a clear connection. Let me explain. As I read about these research studies, I wondered whether there might be significant advantages to mediators of offering positive and empathetic communication. I wondered how such conversations might benefit the participants. Is it possible that such words and phrases are sufficient to gain the parties confidence in us and in the mediation process and to enlist their prompt engagement in the various tasks of mediation (describing the conflict and its impact, searching for possible solutions, negotiation and problem solving)? How would that play out in our practices? Communication skills are taught as essential elements in every basic (and some advanced) mediation training courses. We learn to the techniques of active listening, reframing, summarizing and related skills. Mediators know that when used thoughtfully and with respect for the participants, these techniques help develop trust, encourage parties explore the terrain of their conflict, develop options for resolution, and provide support to them as they seek understanding and agreement. I believe it is possible—even vital to the success of our intervention—to think that we might communicate with the participants for the sole purpose of making a meaningful human connection, of expressing empathy, encouragement and support. Mindful of our obligations to be balanced and unbiased and to maintain neutrality, and remembering our primary mission is helping them successfully address their dispute, we can effectively use our communication skills relationally, not simply in pursuit of a workable agreement. Let me propose a straightforward and effective method for building a personal connection to mediation participants. With this approach, you will capture their attention, begin building a productive working connection and thereby increase the participants’ commitment to engage constructively and effectively in the mediation. Think about your introductory statement. We begin our mediations with some form of preliminary comments, if only to establish such matters as confidentiality, describe our role as mediators, and affirm the overall objective of finding an acceptable resolution to the conflict. Do you say the same things in the same order every time? Has this indispensable element become routine? Is your presentation similar to the flight attendant’s safety briefing? As you proceed through the required elements of your introduction, are you energized or bored? Do you ever alter your introduction? How much time to you allot for your preliminary comments? For many mediators, the introduction is a requirement, quickly fulfilled so they can get to the heart of the conversation and the search for a settlement; delivered in a perfunctory, time-limited and routinized manner. My suggestion is to personalize our introductory comments. Begin by greeting each participant, use their name, be inviting and cordial. Treat them as you would guests. Think of your introduction as a conversation, not a presentation. In this way, you will help put them at ease and focus their attention on the tasks ahead.Refer to the participants by name. Look at them. Address them directly and with as much individual attention as possible.Take your time—don’t rush through the required elements. Pause occasionally. Ask whether they’ve understood you and invite questions. In my experience, this approach adds little (if any) time to your introduction. It simply requires the intention to be relational. Just as the elementary school teachers or the medical staff—with the intention to create a personal connection to the participants—you will be creating the foundation for fruitful and positive interactions and thereby improving the chances for a mediated settlement.